I just got this great bath scrub exfoliating back scrub and loofah set from Bath of Eden. This is a two piece set. You get a loofah glove. 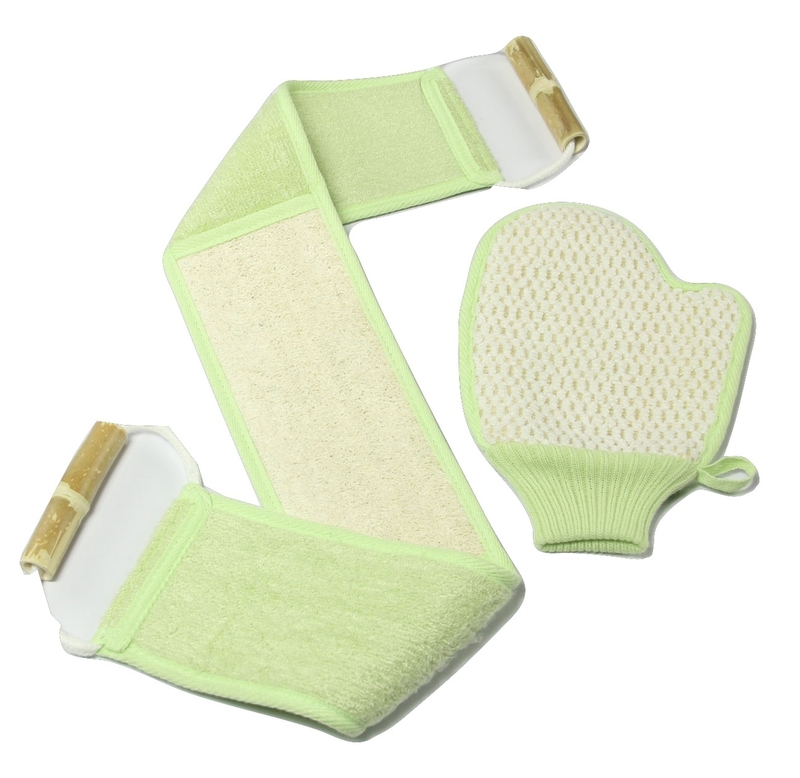 It has a nice rough material that makes exfoliating the skin really easy. It absorbs the soap though and if feels great on the hand. Just put the mitt on and wash away. The second piece is a back scrubber which is awesome because I don’t know how many time I’ve struggled try to get my back clean. Just use the hands, wrap this around your back and they rough patch is a great exfoliate. Just pull the straps back and forth and up and down the back. You will have nice smooth skin in no time. I use this all the time and it has never been easier to wash my back. SUPER SIMPLE and EASY TO USE- Cleaning your back has never been so easy! No matter what shape and size you are. Our extra length and bamboo wooden handles make for a pleasant scrubbing experience. Perfect for cleaning your back, neck, shoulders, feet and other hard to reach areas. FEELS AMAZING- Save yourself those pricey trips to the spa. Invigorate your body from the comfort of your own home. Give yourself the radiant blemish free skin that you deserve. SUPERB QUALITY AND BUILT TO LAST- Our scrubber is made from genuine loofah. Made with 100% natural fiber exfoliating surface that leaves your skin looking radiant time and time again. FREE Facial Exfoliating Bath Glove and Ebook included with every purchase. Take advantage of this, for the ultimate bath experience. ADD TO CART NOW! You can purchase this bath set on Amazon!